Piracy sites have popped up all over the world. If there is one thing that we have found out about the MPAA is that it doesn’t like pirates. The MPAA doesn’t like piracy either. Now, the former VP of an organization known has Worldwide Internet Enforcement has come out and said that the industry against piracy has changed. In other words, now law enforcement agencies and copyright holder groups are focusing on something else. They are focusing less on building a narrative against piracy. More precisely, the industry has given up on forcing people to act in ethical ways against piracy. Hemanshu Nigam has recently said in an interview that the industry discussion in the world of today is less about ethics and more about piracy sites and the danger they pose to the industry as well as the people who visit these sites. If no one listened to these copyright holder groups before, why would anyone listen to them now? Well, maybe because the industry has finally decided to focus on where it should have focused from the beginning. 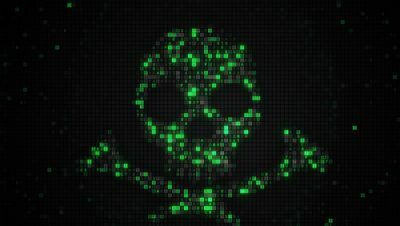 Where Should The Industry Focus In Order To Decrease Piracy And End Piracy Sites? Copyright holder groups along with law enforcement agencies have tried for ages in order to convince people to stop engaging in piracy. They have blocked people from accessing any and all major copyright infringing websites as well. They have done all they could have done to make copyrighted content unavailable on the internet. Most of their campaigns have not given them the desired results. The battle still continues even after two decades have passed. Piracy sites have evolved as much as the pirates themselves. In the early stages of the battle against piracy and piracy sites, of all the industries affected by piracy, the music industry, in particular, did the worse. In other words, the people working in the music industry didn’t know what to do. Most of the music industry campaigns against pirates and piracy sites focused on suing people who engaged in piracy in any shape or form. The industry warned online users that if they grabbed music files from online sources without paying any charges, then they could face some serious problems. Parading the few victims and their heads on pikes for everyone else to see. Of course, that doesn’t always work. And in this case, it didn’t. The industry did try to appeal to the better nature of the public from time to time. Did they succeed in that aim? The problem with appealing to people to do the right thing is that most people don’t want to do the right thing when the benefits of doing the wrong thing are so huge. However, the music industry didn’t understand that. The music industry went ahead and spent resources on trying to make people understand that because of pirates and piracy sites many hard working people working in America stood to lose their livelihoods. People working on the campaigns thought that if the general public understood their message, they would automatically stop downloading copyrighted content from sites like The Pirate Bay. To some effect, the music industry did succeed. Many people stopped downloading illegal content from torrent sites. Hundreds and millions of online users still get their fix from torrent sites and streaming sites. And they do so for free. Hence, the job of copyright holder groups and law enforcement agencies has not finished. They still have to work hard. Piracy sites have come a long way from dirty interfaces and bad management. The last couple of years have given us some interesting news stories. Most of these have notably come from the likes of the RIAA and the MPAA. Both these organization have experienced significant positive signs that may help them overcome their piracy problems. That is especially true since SOPA has come onto the scene as well. 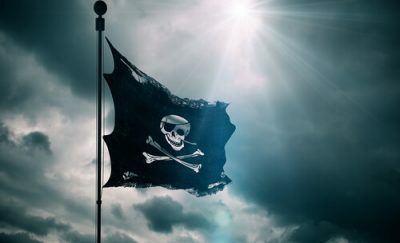 In other words, copyright holder groups along with law enforcement agencies have changed their tone regarding pirates and piracy sites. Now, they don’t just want to educate the public. They want to make sure that the public knows that these streaming and torrent sites are evil. And that they pose a danger to the users themselves. In other words, they are the enemies of the people who these sites claim to serve. Digital Citizens Alliance has carried out a number of studies and most of them have claimed that piracy sites are bad. 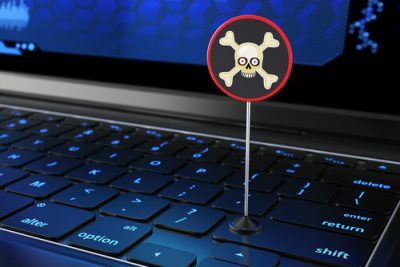 Basically, these studies say, these piracy sites act as hotbeds of trojans, viruses, and malware. These piracy sites also bait consumers with juicy looking pirate loot and then offload their Trojans. The studies also say that these piracy sites may also have done other bad stuff to online users but they don’t know about it. THe people behind these reports have apparently published them as independent public interest documents. Now, an advisor to the Digital Citizens Alliance had suggested that these reports contain a much deeper interest. Of course, the industry’s interest. Hemanshu, is the ex-Chief Security Officer of News Corp. He has also worked in the same capacity at Fox Interactive Media. Moreover, Hemanshu is also the former Vice President of Worldwide Internet Enforcement at the Motion Pictures Association of America. And just for completeness’ sake, Nigam, in the past, has also worked as a federal prosecutor. Hemanshu Nigam gave an interview to Deadline this past week. 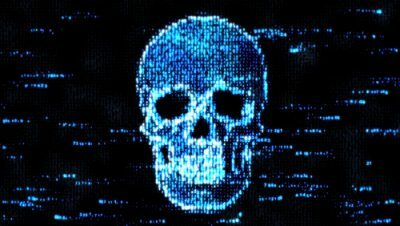 In the interview, he spoke about topics such as the rumored connections between malware distributors and piracy sites. Nigam also pointed out that Hollywood’s latest version of the anti-piracy plan is a particular strategy. That strategy is to warn online users about the risks that they take when they access content via piracy sites. He told Deadline that the industry had changed its narrative. According to Hemanshu, when he worked at the Motion Pictures Association of America, his company would tell the public that stealing copyrighted content constituted a crime. And as a response, young people back in the day would tell the MPAA that they didn’t care since the MPAA already made a lot of money. Nigam also added the industry had moved on from the previous ethical discussions. Now the industry focused more on forwarding the narrative that these piracy sites posed a considerable danger to all its users. Nigam suggested that the industry wanted young people to know that these piracy sites could raid their parent’s bank accounts. These sites could also spy on parents’ teenage daughters in her bedroom. PIracy sites could then extort her with the sensitive footage. The industry also wanted to let people know that these sites could lock their computer machines and everything held in it. And then they could demand any sum of money as ransomware. Who Is Surprised With Nigam’s Stance? According to copyright holder groups, piracy sites are a disease. It is safe to say that Nigam’s views on pirates and piracy sites aren’t exactly unique or new. Nigam is, of course, working for DCA (Digital Citizens Alliance) as the organization’s advisor. What we know so far is that the Motion Pictures Association of America, at the very least, partially finances the Digital Citizens Alliance corporation. There is very little evidence to suggest that Nigam is actually a part of a propaganda effort. But recently discovered signs indicate that the Digital Citizens Alliance may have a plan. Basically, the Digital Citizens Alliance is trying to raise malware awareness. But it isn’t trying to do that by instructing online users to stay away from piracy sites. They are doing it by raising the awareness that all the online dangers come from within these piracy sites. And hence users should stay away from piracy sites not because they are doing something bad but because these piracy sites can hack them and then extort them as well. So of course, if someone is working the Digital Citizens Alliance, he/she is bound to have some sort of bias. Regardless, everyone should give some attention to industry experts like Hemanshu Nigam and to his thoughts. At the very least, industry experts like him should have the opportunity to express his ideas freely. We have to thank the industry for working so hard and partnering with brands so that piracy sites can’t display high-quality ads. As someone who downloads stuff from piracy sites would know that these piracy sites mostly show ads with are labeled as lower-tier ads. In other words, these ads are problematic. There are some other websites whose policies dictate that no one in his/her right mind should ever visit these sites. Let’s go back to the Deadline piece that we mentioned at the beginning of this article. In the Deadline interview, Nigam alleged that piracy site had formed close partnerships with hackers. These hackers had reached out to popular piracy sites and offered them from $200 to $5000 each day. The actual amount of money these piracy sites would earn depended on their audience site and the size of the piracy site. Then, these piracy websites would infect their visitors with nasty malware. We don’t know if that is true. But if it is, then it is indeed a concerning situation. People who regularly use piracy sites for whatever purposes would want to know more details about any such corporations or news related to these partnerships. People would want to know which websites struck agreements with hackers. And which hackers offered which contract with which piracy site. Moreover, they would also want to know which piracy site did not cooperate with hackers. Perhaps most critically, they would want to know which piracy sites actually went ahead and struck deals with hackers. Do take note that pirates are just people. And piracy sites are just websites. In other words, pirates have consumerist tendencies as well. Hence, it is entirely possible that pirates would boycott such a piracy site that cooperates with hackers. We think they would do so in a heartbeat if they found out that the piracy site they visited so often actually made money by infecting them with nasty malware. As usual, Nigam’s claims don’t have much weight behind them. At least, we haven’t found many details on his allegations. What do Nigam and his associates say? Stay away from piracy sites. Such blanket statements and warnings would do little to keep people away from unauthorized websites. And hence it doesn’t really help the cause of organizations such as the MPAA along with DCA when they don’t come up with the right amount of details behind their assertions. Of course, we are aware of the possibility that operational security would block these individuals from leaking any details to the media. But without any details, online users who have never experienced any infection from a given piracy site would never believe these allegations. And we know that the vast majority of pirates are those people who have never experienced any nasty malware from the piracy sites themselves. If a user got infected with malware by clicking on an ad, then that is entirely another matter. The author behind the Deadline report appropriately pointed out that the likes of the MPAA and the DCA must provide solid details. Otherwise, people would consider their statements and the whole situation like Reefer Madness. The point that everyone should emphasize here is that copyright holder groups have to provide evidence. That is the only way to back up their allegations. They also have to publish reports that list the piracy sites (along with the malware they infect the users with) that engage in such behavior. That is the only way people would respond to their call of abandoning piracy sites. Otherwise, a vast percentage of the public would consider these warning as only scaremongering and nothing else. People consider free copyrighted content way more valuable than a distant possibility that they may have to deal with malware. It doesn’t matter if a piracy site tries to infect these pirates with malware or any other virus. Moreover, the allure of free content is enough to settle fears about the possibility of a lawsuit too. The MPAA and the DCA have to make sure that they are more considerate with their approach in fighting piracy. The current approach is likely to fail. And when we factor in the fact that these copyright holder groups have the weight of the government behind them too, then we have to say that the results have proved horrible.